While speaking at channels TV programme The Core The minister made it clear that 94% of people paying tax in Nigeria today are salary earners, who earns little because their money has been deducted from source. “Most of the taxpayers we have in Nigeria today are salary earners. They are about 94% of our taxpayers. I think we have about 14million taxpayers and 13.5million are pay as you earn. So, those are people whose income tax is being deducted at source. These are largely low-income earner. “So would it be fair for those who made the most and have the most to be forgiven? Because if we do that, then we should also refund those who have actually paid their taxes. In the spirit of fairness, we think it is right the way we designed it,” she said. She added that the VAIDS initiated by the Federal government is not cling to any political threat or affiliated to any party but an avenue to generate funds to develop the nation's economy. “We are not following the money, we are not asking how much did you earn? We are saying, this asset, whether it’s in Nigeria or overseas, how did you fund it?. 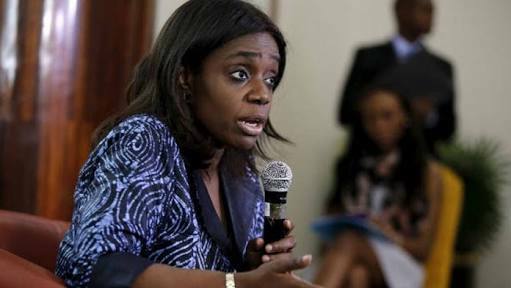 According to Mrs Kemi, she said the scheme is a tool to hunt tax invaders. to expose those that are into illegitimate businesses and all. She said on Thursday, March 1 during the VAIDS Stakeholders symposium at the Shehu Yar’Adua Centre, Murtala Square, in Kaduna State that tax evaders will be prosecuted, named and shamed.